As Marie Antoinette famously said 'let them eat cake.' But the Sofitel Melbourne on Collins is going one better than that with, let them eat a special kind of cake, lavish éClairs, but not every day, God forbid. But only on Thursdays. What now hopefully becomes a Melbourne tradition started on Bastille Day when Sofitel's Executive Pastry Chef, David Hann engineered éclairs of such exquisiteness that Melbourne's foodies were agog. Within 48 hours of the Bastille Day event, Sofitel began receiving numerous calls and emails from guests asking Sofitel to extend the experience. 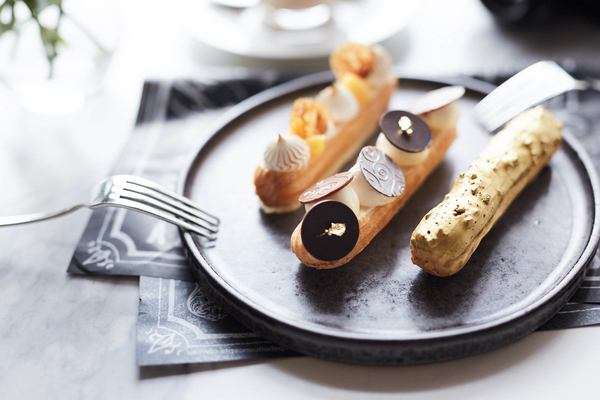 Due to the overwhelming demand for Sofitel Melbourne On Collins' Bastille Day éclairs, the Hotel decided to give the people what they wanted, and continue to serve the 'crème de la crème' of French patisserie. But as they are so special and quite delicate to make, they will only be available on Thursdays starting from Thursday, July 27. Supply is limited to the first 30 platters, which means guests need to book their place. 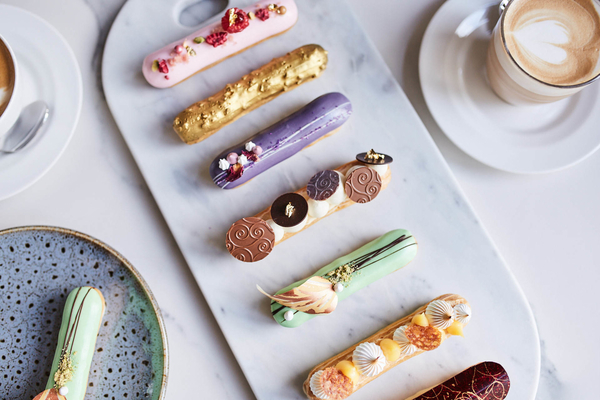 Those visiting the Paris end of Collins Street can stop in at Sofitel's Sofi's Lounge and enjoy a platter of three Instagram-worthy éclairs with the choice of espresso coffee, hot chocolate or loose leaf tea for $21. Note: éclairs are limited, so if you want to sink your teeth into those cream teasers of delight reservations are essential. Cost: A platter of three Instagram-worthy éclairs with the choice of espresso coffee, hot chocolate or loose leaf tea for $21. Does Sofitel have a COFFEE eclair? That is my favourite! Eclairs really do not need to be so fussy - they just need to taste Divine! When it is made so beautiful but tiny, we must give it a go.